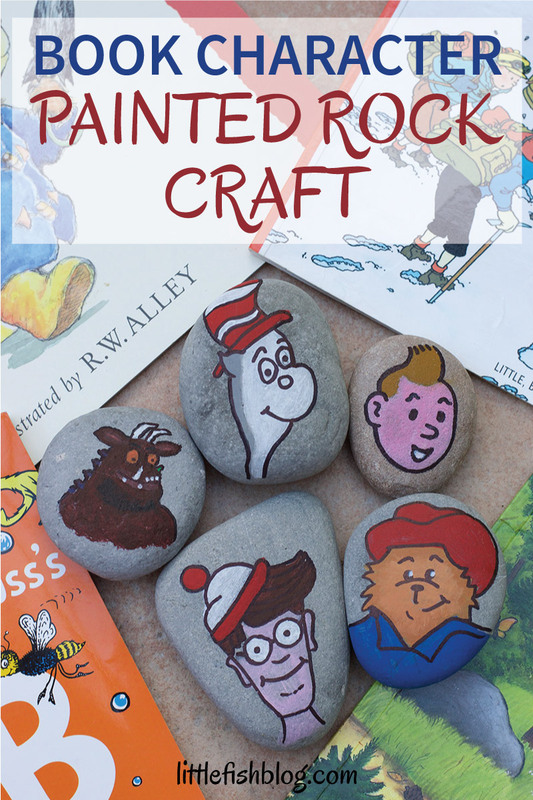 Today I’m sharing this fun book character painted rock craft. 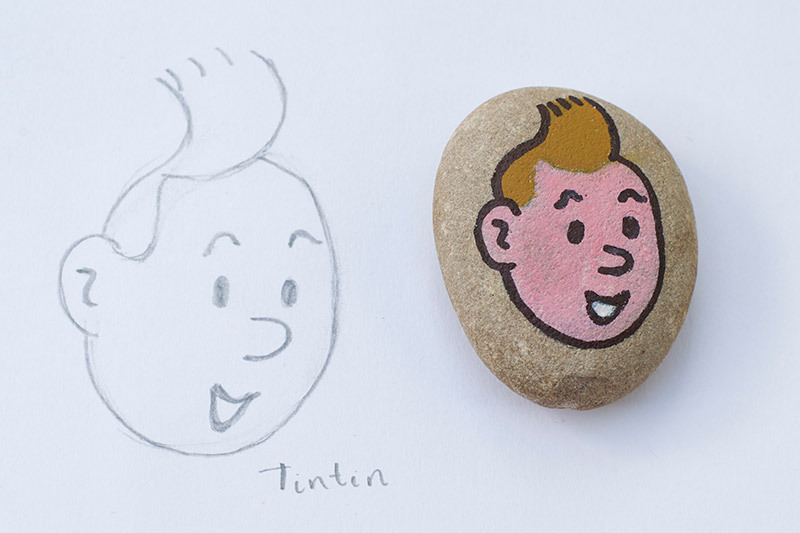 I’ve got very into rock painting recently. 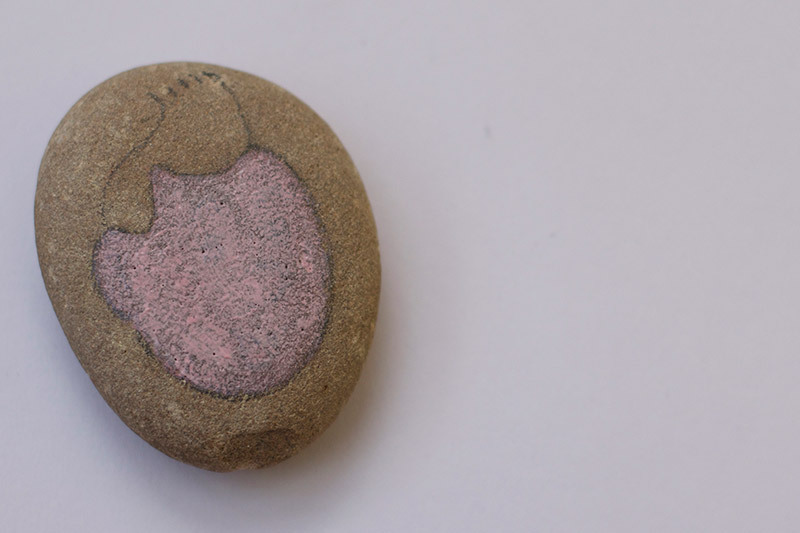 I’ve been inspired by the wonderful Angela over at The Inspiration Edit with her fantastic rock painting designs. 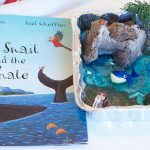 We’ve also recently had fun exploring our Mud and Bloom nature and craft boxes, which last month included a pebble painting activity. 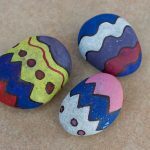 The kids both had fun getting creative and painting their pebbles. I’ve always loved both drawing and being outdoors. 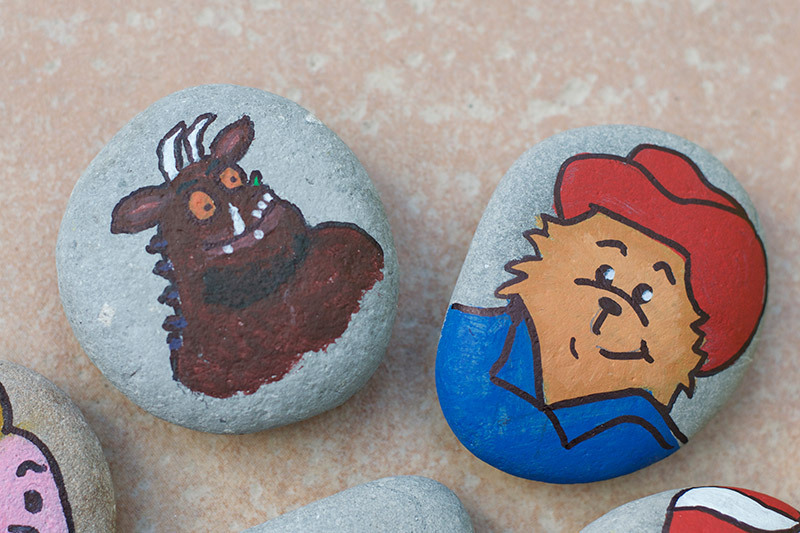 Rock painting is such a perfect activity to combine the two! You can spend time exploring outdoors looking for stones. Then come back into the cosy warm to settle in for some rock painting. I have found it to be a very relaxing activity. 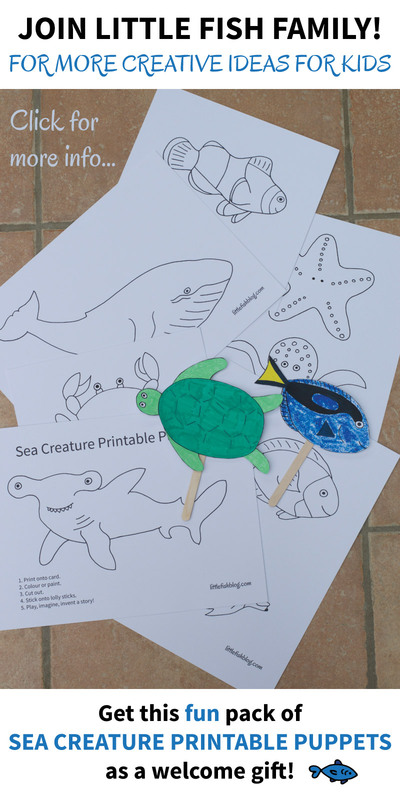 Perfect for a calm afternoon, for kids or grown ups! 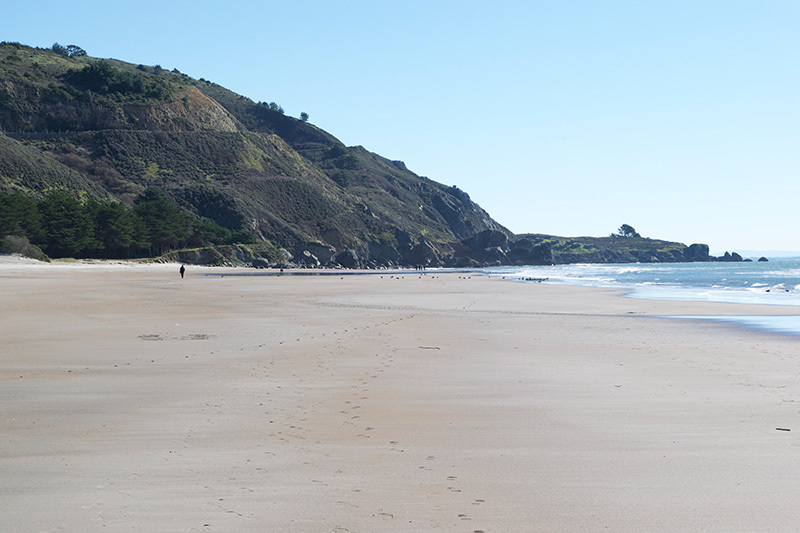 We were excited to find out that there is also a local rock hunting group in our area – so we are very keen to join in. Rock hunting is getting very popular all over the world. Do take a look and see if you have group near you. 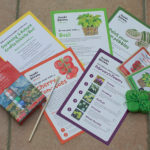 It’s a great way to get creative, get outdoors and spread some warmth in your community. 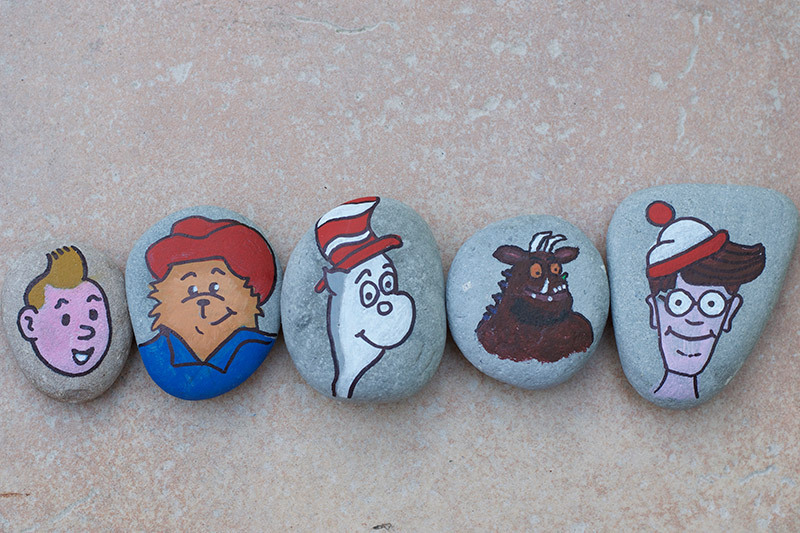 I thought it would be fun to make some book character painted rocks for the kids to go out and hide. I hope that the people who find them will find some characters that they recognise! 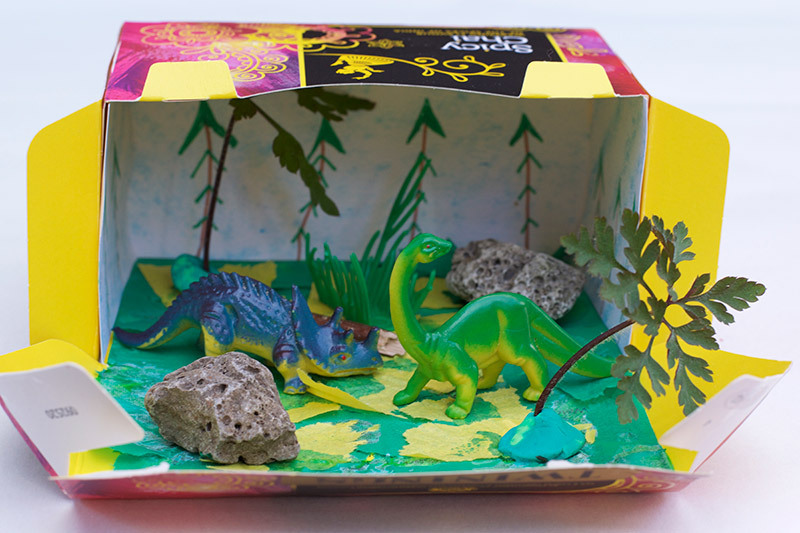 You can do this activity with your children, set them off on it independently, or make some rocks for them. Use your judgement depending on the age of your children. The great thing about rock painting is that all ages can enjoy it. Even tiny ones will enjoy a bit of a painting, or going out and hunting for the stones. 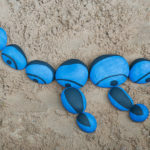 Grown ups will love rock painting too – my hubby got so inspired by watching me paint that he painted a rock of his own! It’s in this post. Can you guess which one it is?! 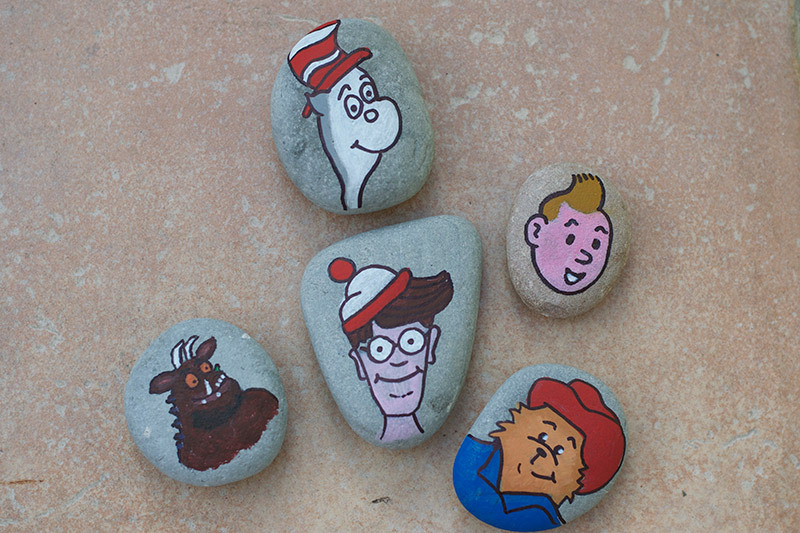 For these book character painted rocks, you can pick any book characters that you like. 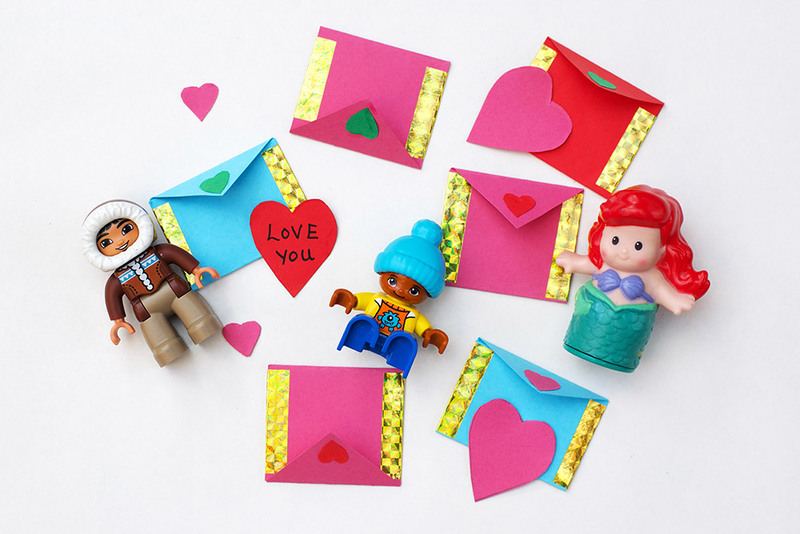 I picked some of our favourites, including one or two from my own childhood. Do you recognise any of these characters? 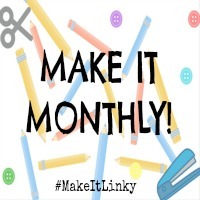 Disclosure: Affiliate links included for your convenience and at no extra cost to you. I only recommend products I love. Thank you for your support. 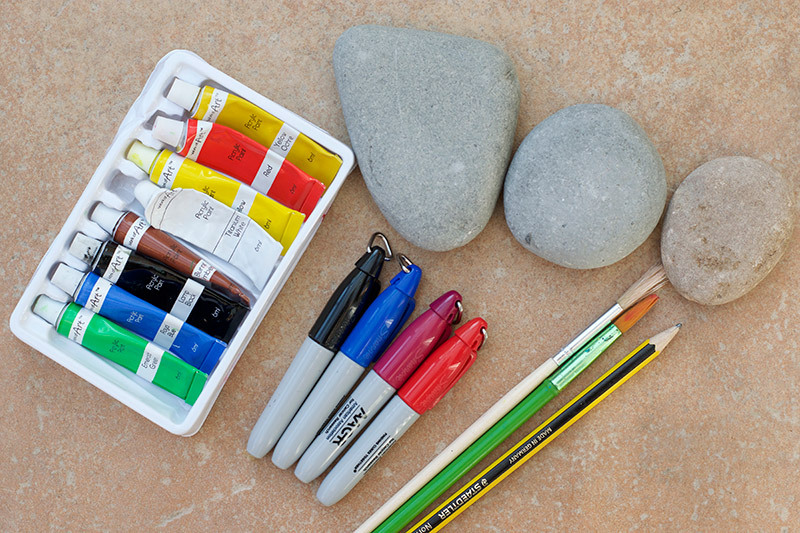 Rocks/stones/pebbles – go outdoors to collect some, or buy from your local garden centre. 1. Go hunting for some rocks or stones (or buy from your local garden centre). 3. Sketch your design onto paper. 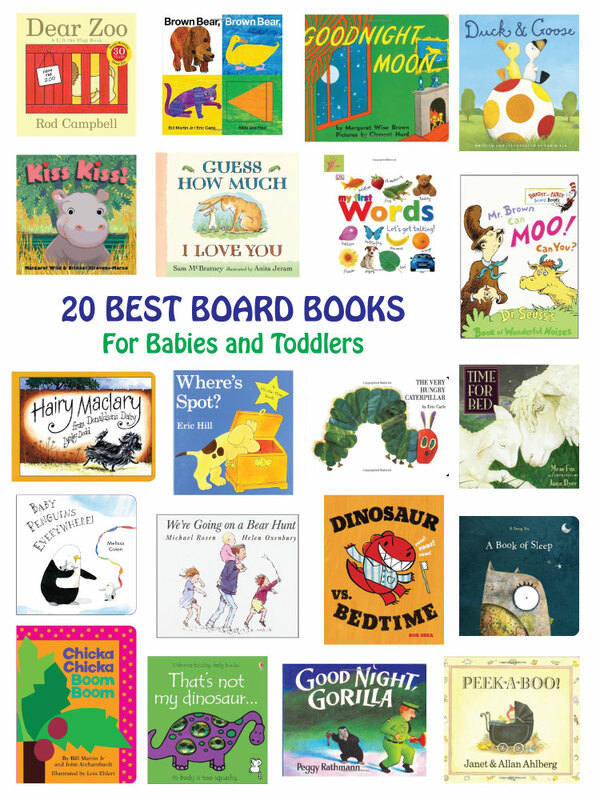 You might want to look at some pictures from your favourite books to inspire you. 4. Sketch your design onto the rock. 5. Paint your design with acrylic paint or posca paint pens. Paint the lighter colours first and allow each colour to dry before continuing. 6. 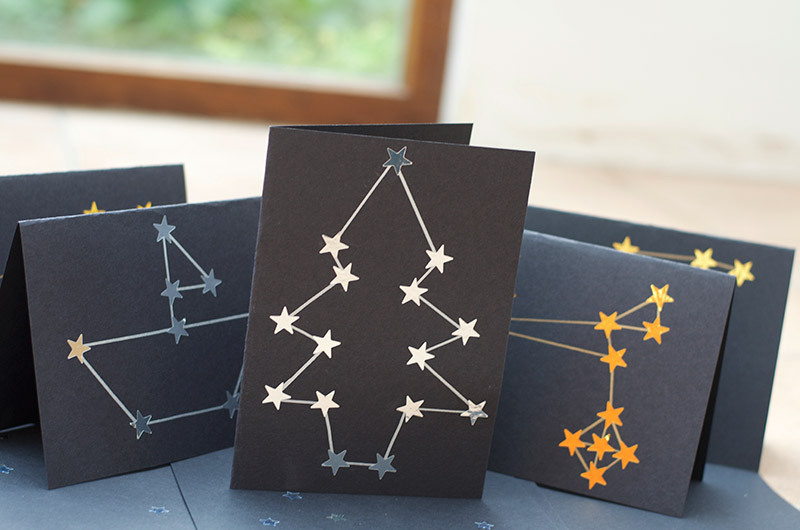 Outline your design using a black sharpie, or black posca paint pen. Allow to dry. If you are joining in with a rock hunting group, you might want to put the name of the group on the back of the rock with a sharpie. 7. If you want to put your rock outside, then finish with a coat of varnish. Use clear varnish, lacquer or even clear nail varnish will work. Allow to dry. 8. Admire! Repeat for as many rocks as you would like to make. Remember to check if there’s a local rock hunting group near you. They usually have a Facebook page, so you can check in and see when someone finds your rock! We really love rock painting (and hunting!) 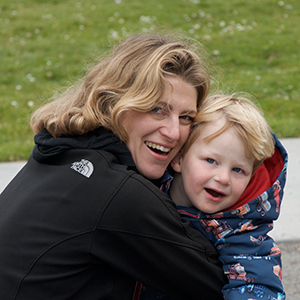 it’s so fun for all ages. We are so excited to go out and hide these rocks and hopefully find some more too! 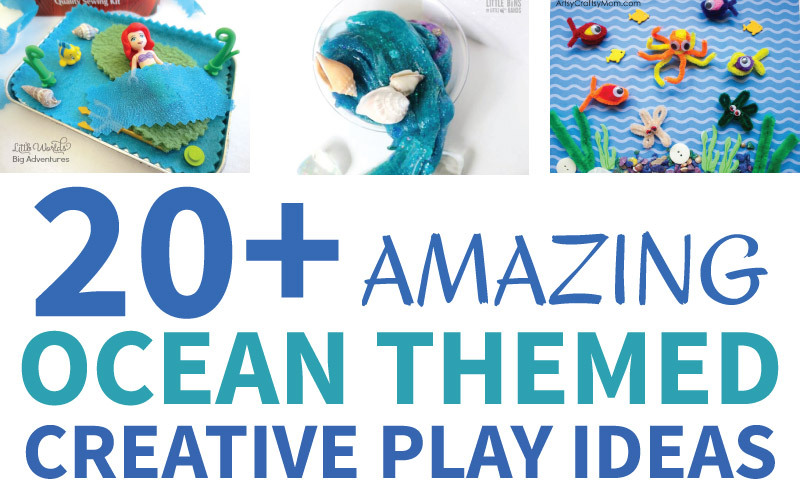 Let me know if you give this craft a try – come over to Facebook and share your designs with me. I’d love to see them! 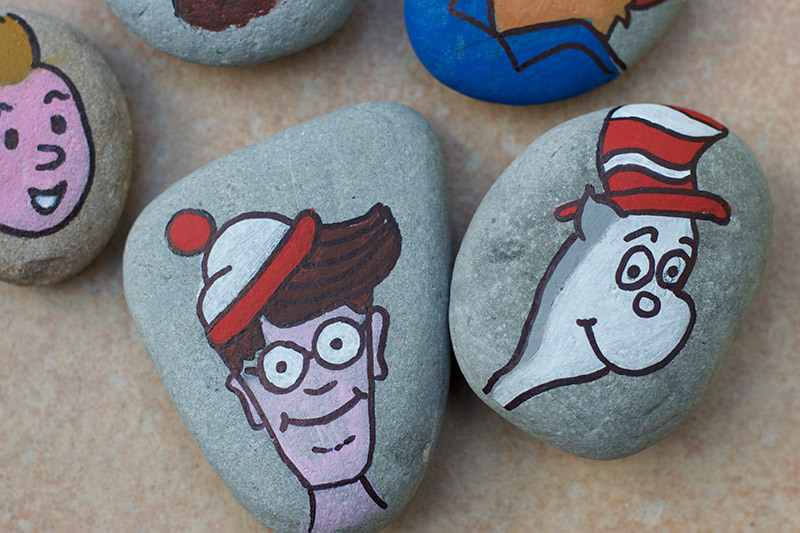 Which book characters will you paint on your painted rocks? 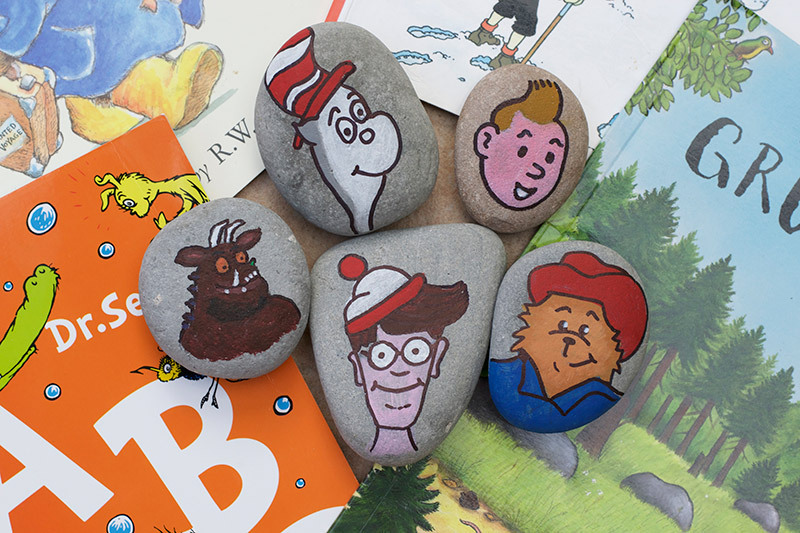 You might like to read some of the books these rocks were inspired by: The Adventures of Tintin, Paddington Bear, Where’s Wally?, The Gruffalo and The Cat in the Hat. These are AMAZING! 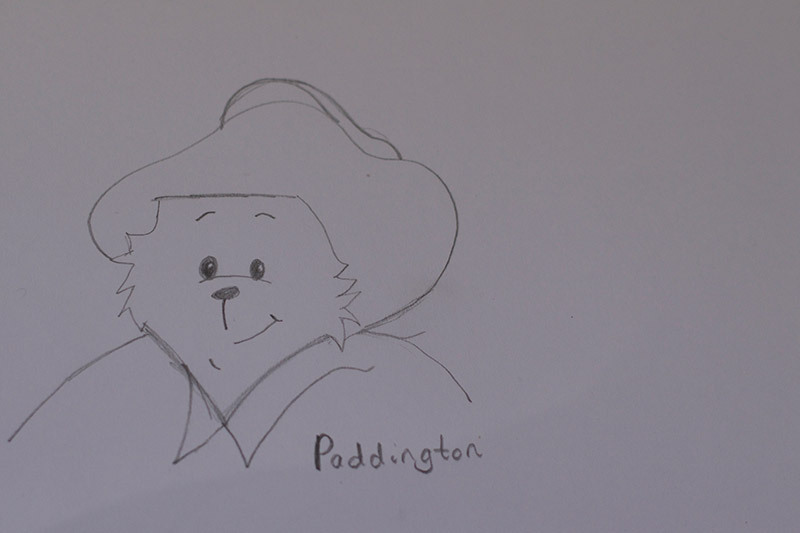 I love the Paddington one. You’re so creative. This is SO Awesome and I love your stones. How cool. You did amazing. Your rock designs are so lovely. I love the idea of using children’s book characters. rather puts our rocks to shame! This is such a good idea! 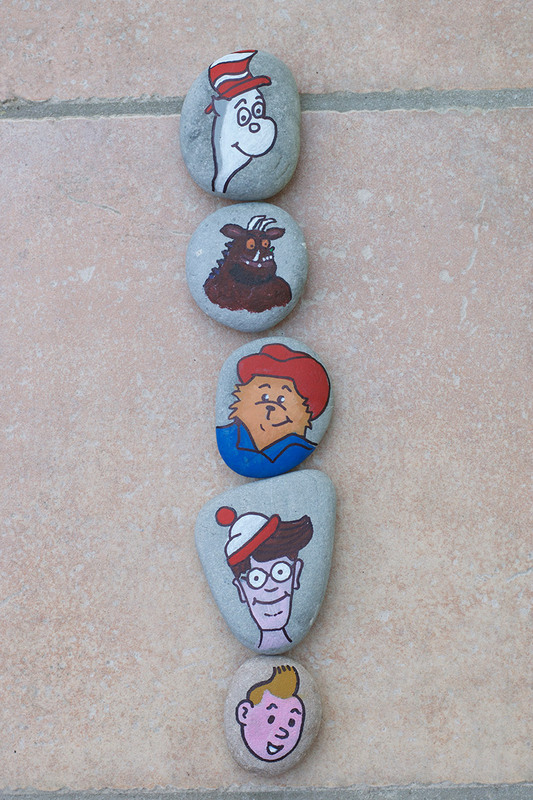 Takes me back to when I was a child and I used to collect rocks – some ended up drawn on/painted etc. I had no idea rock hunting groups existed, definitely going to check out if there are any down south. What a nice wholesome activity for the weekend! Varnish on top! Genius! That’s the problem we always run into! I really love how you draw and painted characters. We’ll have to try it. 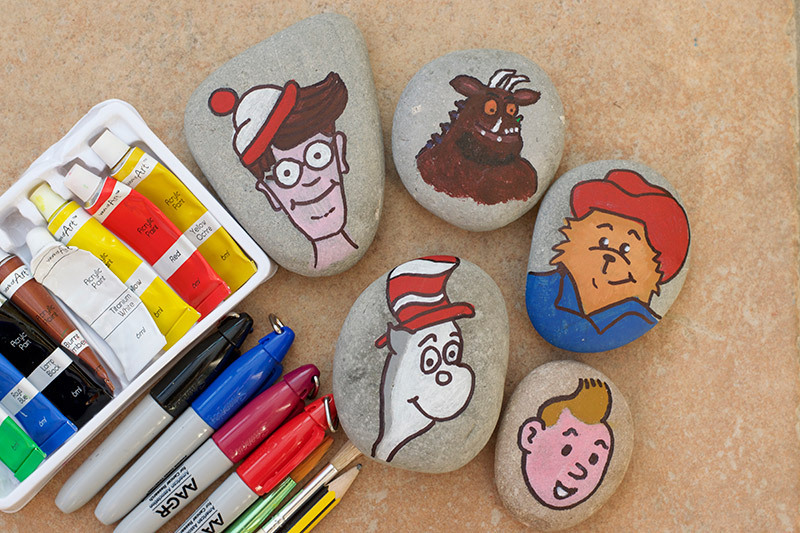 Our county libraries had a month long activity where people could come in and paint rocks while supplies were provided. It created a great relaxing atmosphere for people to get to interact and work with their hands on a craft. You inspire me to do the activity again with book characters and adult fiction book covers as images for the rocks. 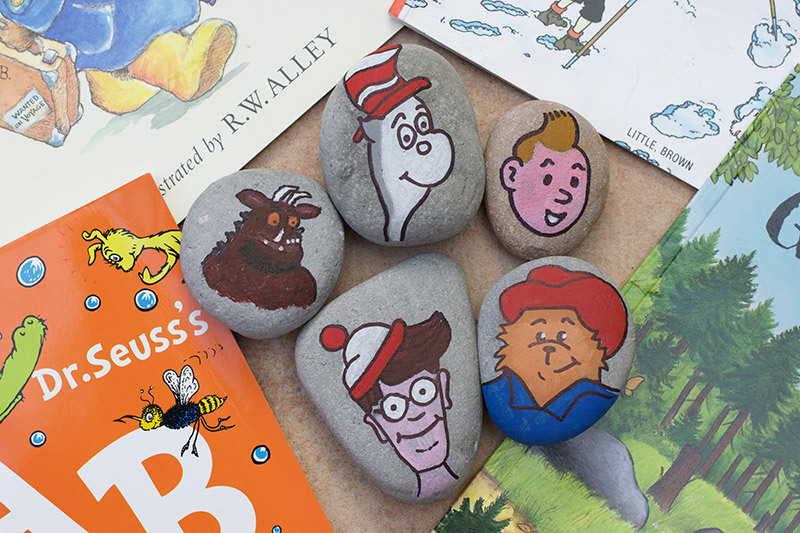 Then the book can be displayed with the rock for others to be inspired to look for a book to do the same. What a wonderful idea in your libraries – that sounds very relaxing and inspiring. 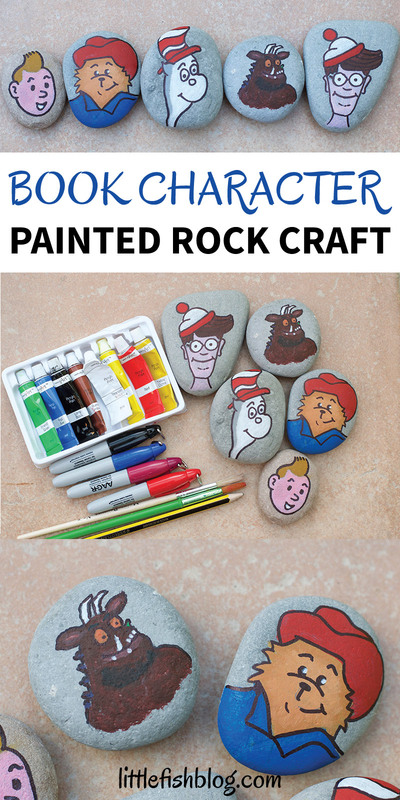 I love your idea too, it would be great to see book themed rocks on display with the books themselves. Glad this inspired you to get painting! This is so cool. I’m going to have to give it a go myself..